Be the first to share your favorite memory, photo or story of William "Buddy". This memorial page is dedicated for family, friends and future generations to celebrate the life of their loved one. William “Buddy” Legg, age 79, went to be with the Lord on November 28, 2018. He was born in Oklahoma City on September 6, 1939 to Allen and Helen (Huddleston) Legg. He grew up in Choctaw, OK through his elementary school years and later moved to Bethany, OK where he attended Bethany High School excelling at football, basketball and baseball. This is where he fell in love with his future wife, Donna (Mann). 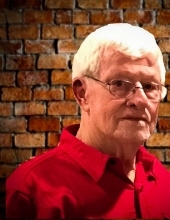 After graduating in 1958, he attended Southwestern Oklahoma State University in Weatherford, OK on a football scholarship for one year and then spent one year at Eastern Oklahoma A&M in Wilburton, OK also on a football scholarship. After college, Buddy worked at Oklahoma City Abstract and soon began his career in aircraft parts, sales, and service which included stints at Aero Commander, Bell Helicopter in Fort Worth, Air Center and Jet Service. A resident of Mustang, OK since 1971, Buddy loved his wife and family, the Sooners and his bird dogs. He was extremely passionate about hunting and fishing and was an avid OU Sooners fan. Bud is survived by Donna, his wife of 58 years, his daughter Stacy Judd, son Jeff and wife Jamie, son Kevin and wife Bobbi, grandchildren Kristen, Jordan, Shelbi, Cobi, Tucker, and Braxton, and great grandson Kylo. Also by his brother Jerry Legg and sister Cathy Wooden and many cousins, nieces and nephews. He is preceded in death by his father Allen, mother Helen, and sister Suzy. To send flowers or a remembrance gift to the family of William "Buddy" Legg, please visit our Tribute Store. "Email Address" would like to share the life celebration of William "Buddy" Legg. Click on the "link" to go to share a favorite memory or leave a condolence message for the family.